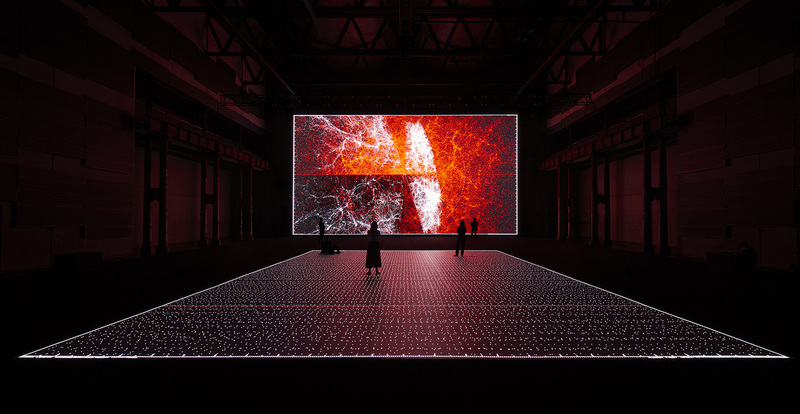 The internationally acclaimed Ryoji Ikeda returns to Carriageworks with micro | macro. Developed during a residency at CERN, European Organisation for Nuclear Research in Switzerland, micro | macro is an immersive installation which sits at the intersection of art and quantum physics. Ikeda utilises the Planck Scale (which measures the smallest components of the universe – atoms) as a way to contrast our human scale to the microscopic and unobservable. Ikeda tests the limits of what is observable and knowable in our universe in an attempt to understand it, and make it visible to us all. Presented by Carriageworks.